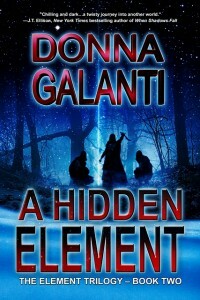 A Human Element is out in eBook & Paperback! 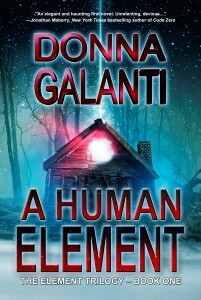 My paranormal novel A HUMAN ELEMENT is out in paperback and eBook by Echelon Press!! Want to read the first couple of chapters? Check out the Look Inside option. Also available soon for purchase at the Doylestown Bookshop, Doylestown, PA. Join me here April 21st from 3pm to 5:30pm for A HUMAN ELEMENT launch. In A HUMAN ELEMENT one by one, Laura Armstrong’s friends and adoptive family members are being murdered, and despite her unique healing powers, she can do nothing to stop it. The savage killer haunts her dreams, tormenting her with the promise that she is next. With the killer closing in, Laura discovers her destiny is linked to his and she has two choices–redeem him or kill him. And now you too can discover the world of X-10, the evil monster with a tormented past…and meet Laura, the woman who can’t escape death that follows her. And we can’t forget about Ben, an unlikely hero whose only chance to be saved may be through love! What are readers saying about A HUMAN ELEMENT? “This book has it all, as the story develops the reader is brought along a journey full of suspense, horror, violence, romance and friendship that twists at every turn… This is a great debut from Ms. Galanti.” – Sally, GoodReads. See full review. “A HUMAN ELEMENT is great novel with everything you want from a good read – a likable leading lady, a slightly broken, but intriguing handsome leading man, a really scary bad guy, mystery and even a touch of the unbelievable.” – Randi S., Amazon. See full review. You can catch me around the web at upcoming events in the next week. Join me during stops on A HUMAN ELEMENT Blog Tour from March 19th montauk-monster.com/pharmacy through April 11th and you’ll discover the behind-the-scenes look on how it came about plus you’ll have a few chances to win your own copy of A HUMAN ELEMENT! PLUS enter to win the GET HUMAN AGAIN Giveaway and you could get human again, pamper yourself, AND get away from it all! 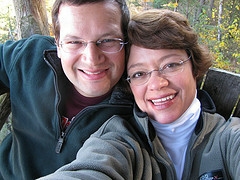 Laura and Ben from A HUMAN ELEMENT may have found love in their cabin in the woods (read how they met here! ), but you can escape that cabin fever. 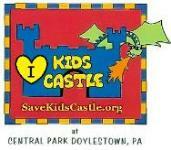 Watch for an announcement very soon on details and how you can win! I am so grateful to have such a wonderful support network of writing friends and peers who helped me get this book into print. These are the kind of people that want other writers to succeed by sharing their experiences and techniques. People like authors Marie Lamba and Jonathan Maberry, teachers in my Write a Novel in 9 Months class. And my developmental editor, Kathryn Craft, who went above and beyond in her critiquing! The many workshops I took at the Philly Writer’s Conference led by the wonderful authors in the Philadelphia Liars Club. See you all on the dark side! LIKE my Author Facebook page for news and updates! The A HUMAN ELEMENT book blog tour runs through April 11thh with book giveaways, more guest posts, and interview fun, and a chance to win the GET HUMAN AGAIN big prize giveaway! So pop over to see the full tour schedule. Yay! So excited for you! Stacy thanks…and for helping me craft this book better. Seems so long ago, doesnt it? I cant wait for your romantic suspense INTO THE DARK out in November! Congrats! I love ebooks and this looks like an amazing read!